Here is something slightly different to the normal cabinets going through the workshop today. 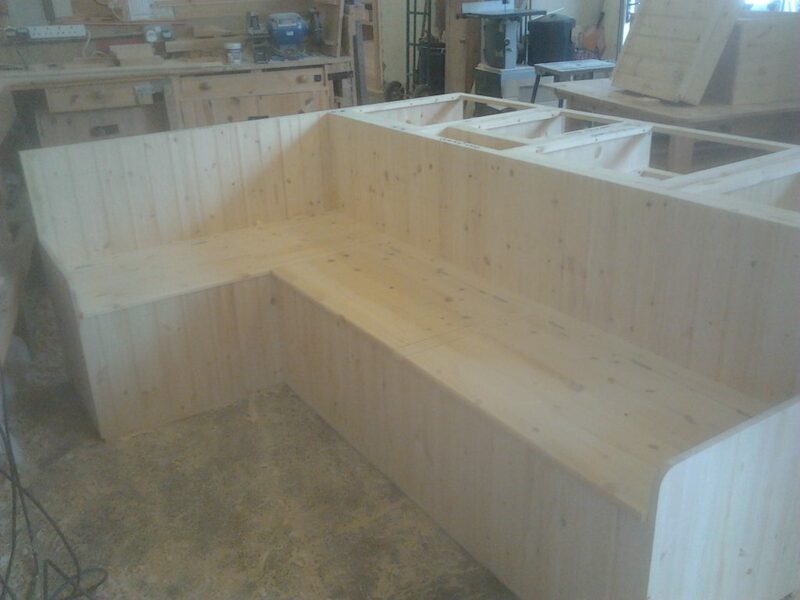 Here we have a custom bench seats to round a corner or behind an Island. As everything we make is manufactured as one off items from our detailed designs we can and have made most things that you can imagine. So even if you don’t see it on our web site always ask as we have probably already made something similar, Or if you have a bit of space and cant think what to put in it we can probably come up with an idea.